The Moonlight Mini Oval Serving Dish offers a classic presentation style. Ideal for serving sides or oven baked main dishes, this baking dish is versatile enough to suit any occasion. With a pure white gloss glaze, these oven dishes provide a practical design to mix with any crockery or tableware. 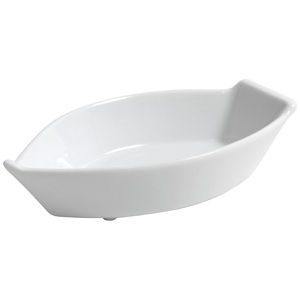 Perfect for an individual serving of pie or pasta bake, these white serving dishes make a meal.